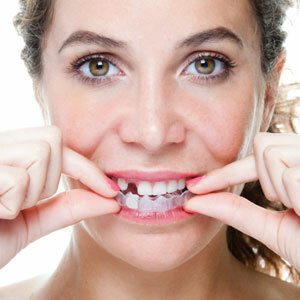 Tooth loss is so regrettable and carries with it a host of health issues. That's why dentists such as Dr. Wade Dressler and Dr. Irving Phillips Jr. at Dental choice in Easton, MD, counter its ill effects with modern dental implants. Stable, bone-building, and lifelike, dental implants recreate natural oral function and aesthetics so that patients of all ages have great smiles once again. Learn here if these popular tooth replacements could be right for you! Dental implants have become more popular since the 1980s when dentists discovered a way to strengthen the bond between the implant and jaw bone. This bonding process, called osseointegration, ensures that the artificial tooth (or bridgework or dentures) stays in the jaw and withstands chewing and biting. Today, millions of people across the world enjoy the many benefits of dental implants. These amazing devices rebuild any jaw bone lost to tooth extraction, and they look and perform just like their natural counterparts. You probably do if you are in good oral and systemic health, have enough bone in your jaw, are old enough that your jaw bone has stopped growing, and are not pregnant or lactating. While tobacco users receive dental implants, smoking cessation increases treatment success and implant longevity, according to the researchers at the University of Murcia in Spain. Good dental implant candidates also have solid oral hygiene habits and see their dentist in Easton every six months for a check-up and professional cleaning. Through a comprehensive dental examination and specialized digital imaging, Dr. Phillips or Dr. Dressler can confirm that you're ready for an in-office implant procedure. Your jaw bone should be sufficient in size and density to accept the dental implant screw. 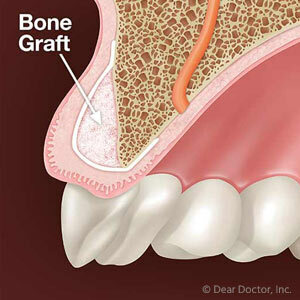 If it's not, the dentist may augment it with special grafting materials or natural donor bone. As for the treatment itself, it all takes place at Dental Choice. You'll receive an injection of local anesthetic to numb the area, and then, the dentist will create an opening in the gums and bone. The implant is inserted and the site closed with sutures. As you heal over the next several weeks to months, bone forms around the implant, securing it in place. When you return to the dental office, your dentist will attach a metal alloy post and custom-fabricated porcelain crown to complete your new tooth. It's as simple as brushing two times a day and flossing once a day to avoid plaque and tartar and the gum disease they cause. Also, if you grind your teeth, your dentist may advise you to wear a night-time bite guard. Finally, be sure to see Dr. Dressler or Dr. Phillips for a follow-up, for any concerns that may arise, and of course, for your semi-annual visit. If you have lost a tooth, or several teeth, to decay, gum problems, or accident, please contact Dental Choice today for an implant consultation. Our dentists have the experience, knowledge, and skills to replace those teeth so that you can have a wonderful smile again. Call today: (410) 822-4310. Find out how this amazing restoration can help you get a full smile back. You never thought you would lose a tooth as an adult, but it happened. Now what? Don’t worry; you have treatment options when you turn to our Easton, MD, family dentists, Dr. Irving Phillips Jr. and Dr. Wade Dressler. 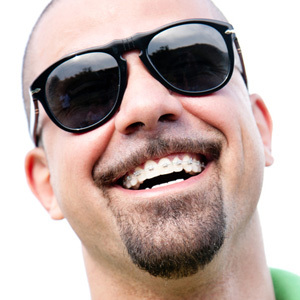 If you are interested in finding out more about dental implants and how these long-term restorations work to replace missing teeth, you’ve come to the right place. Perhaps you’ve heard about dental implants but you aren’t sure what they really are or how they work aside from replacing one or more missing teeth. Well, simply put, a dental implant is a metal post or screw that is created to replace your missing tooth’s roots. The roots are an important component of your oral health, even if they aren’t visible. The implant will replace your missing tooth roots and function just like one, stimulating the jawbone and preventing bone loss. Since the implant naturally stimulates the jawbone to protect it from bone loss (a common complication of untreated tooth loss) it will need to be placed within the jawbone by one of our Easton restorative dentists. Don’t worry; the procedure is minor and can be performed right here in our office under local anesthesia. You won’t feel a thing and you’ll be able to go home right after your procedure. During your first procedure, we will go inside the gums to uncover the jawbone. A small hole is drilled into the exact spot within the jawbone that we need to place the implant. Next, the implant is positioned within the jawbone and the gums are stitched up. Over the course of several months, the bone and tissue will heal. As they do, they will grow around the implant and fuse together with it. Once this happens the implant is now a long-term and permanent part of the jawbone. This is what makes the success rate for dental implants extremely high. Now that the implant and jawbone are one, the next step is to place a structure known as an abutment. Some implants come with an abutment already built-in and other implants require us to place it during a separate procedure. If your implant doesn’t have a built-in abutment we will need to perform another minor procedure to open up the gums and attach the abutment over the metal implant. After several more weeks of healing the custom dental crown can then be cemented into place over the abutment to complete your restorative dental treatment and to give you your beautiful smile back. Dental Choice in Easton, MD, is dedicated to giving you back that beautiful smile. Don’t let tooth loss affect your appearance and your oral health when you have options. Call us today and let us know that you are interested in getting dental implants.